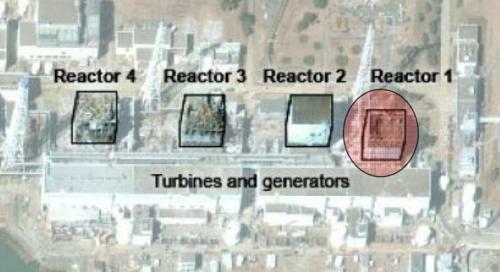 In the middle of May 2011, the Tokyo Electric Power Company (TEPCO) posted information such as scans from paper recorders in the control rooms, computer alarm printouts, parameters plotted from high-speed data recorders (the nuclear equivalent to aircraft black boxes), and operator log books online. I reviewed the information for Units 1, 2, and 3. While working as a shift technical advisor in the early 1980s at the Browns Ferry nuclear plant in Alabama (with three boiling water reactors (BWRs) having Mark I containment designs like those at Fukushima Dai-Ichi Units 1-3), I authored several reports for unplanned reactor shut downs. To prepare those reports, I reviewed many of the same materials. More recently while working as a BWR technology instructor for the U.S. Nuclear Regulatory Commission, I taught during the two-week R504B course. During that course, we covered transients both in classroom and control room simulator settings. In the classroom sessions, we would provide students with control room chart recorder plots of seven key parameters (average power range monitor power level, reactor vessel pressure, reactor steam flow, turbine steam flow, feedwater flow, reactor vessel narrow range water level, and total core flow) and ask them to determine what transient explained all the squiggles on the charts. Later in the control room simulator, we’d demonstrate the transients for the students. Sensors detecting ground motion caused by the earthquake triggered an automatic shut down of the reactor at 2:46 pm local time. All of the control rods fully inserted into the reactor core. When the operators manually tripped the turbine/generator per procedure 50 seconds after the reactor shut down, normal power supplies to in-plant equipment were lost. Both emergency diesel generators on Unit 1 automatically started and connected to their in-plant electrical buses within 6 seconds of the power loss, restoring power to essential plant equipment. The power interruption caused the main steam isolation valves to automatically close, disconnecting the reactor core from its normal heat sink and disabling the normal source of makeup water to the reactor vessel. Both isolation condensers were placed in service about 5 minutes after the reactor shut down to control a rising pressure trend inside the reactor vessel. It appears that both isolation condensers were removed from service after approximately 11 minutes due to an excessive cool down of the water inside the reactor vessel. Around the time the isolation condensers were removed from service, there was an unexpectedly large downward step change in the indicated water level inside the reactor vessel. After the isolation condensers were removed from service, there was an excessive heatup of the water inside the reactor vessel. Details of my assessment of Unit 1 for the first 30 minutes after the March 11 earthquake are given here. My assessments of the early behavior of Unit 2 and Unit 3 are available at these links.